With our Ryzen 7 review, we found that AMD had released three powerhouse CPUs, chips able to do proper battle against the competition – and in many cases, win. Now, we have Ryzen 5. Will we see the same kind of bang-for-the-buck with these chips as we did with Ryzen 7? Obviously, there’s only one way to find out! The launch of AMD’s Ryzen processors last month was, for many reasons, overdue. While it’s hard to say that many things are “worth the wait” after nearly a decade, AMD managed to pull off its promise of delivering a truly competitive product. One that can even beat out its well-established competition in some cases. As found in our in-depth look at Ryzen 7, AMD fails to catch Intel in some regards (namely, IPC/single-threaded performance), but in others, it can smoke the equal-priced (and sometimes even higher-priced) competition. All this while delivering dramatically improved power-efficiency versus AMD’s previous generation CPUs. Some have said that with Ryzen, AMD has put some fun back into processors, and I have to agree. But the reason I personally feel excited is because of the value proposition. Content creators stand to gain the most, because if the choice comes down to an eight- or sixteen-thread processor for about the same price, the latter option is going to deliver considerably more value. It’s hard to call an eight-core chip like the Ryzen 1700 “expensive”, as $329 for what you get is a downright good value. But, at the same time, not everyone actually “needs” 16 threads. Some just want to have a competent CPU for gaming, general purpose computing, and the occasional multi-media task (encoding, image manipulation, et cetera). Complementing Ryzen 5 is the AMD B350 chipset, which can be found on motherboards ranging in price between $80 and $200, delivering the best of current technologies, including NVMe x4, USB 3.1 gen 2, and of course, DDR4 memory. 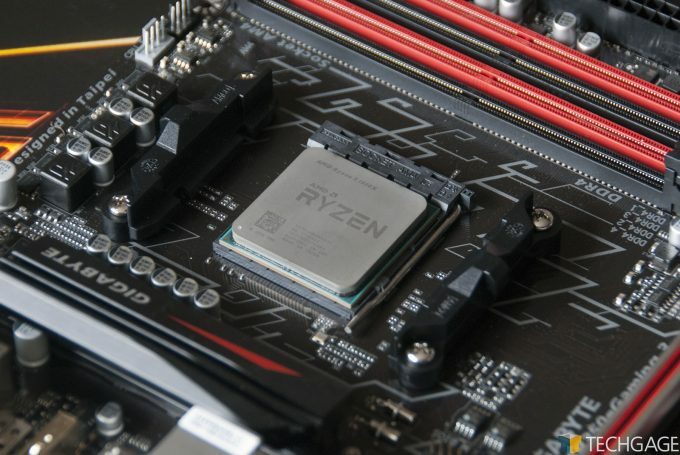 In the Ryzen 5 reviewer’s guide provided for this launch, AMD puts most of the focus on the 1600X, which might not be a surprise given it’s the highest-end model in the set. For its $249 price, it does offer a compelling featureset, including its 12 threads clocked at up to 4GHz. Across the Ryzen 5 line, AMD believes that 3.9GHz / 4.0GHz overclocks will be common (and that’s on all cores, to be clear). AMD talked quite a bit about gaming with its Ryzen 7 series, but the company has ramped up that message with regards to Ryzen 5. It’s no surprise, given the specs of all of the chips, and their pricing. Even the quad-core R5 1400 should deliver great gaming performance despite its $169 price tag. I’d be remiss to not encourage anyone who takes gaming seriously to opt for at least one of the 1600s, though, as the extra cores / threads will prove useful to some future game titles. 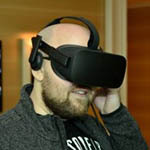 It feels like we’re close to the point when game developers will begin releasing titles that take better advantage of our many core CPUs (possibly fueled by AMD making 4+ core CPUs mainstream), which is a great thing, and a long time coming. I especially recommend the six-core if you’re planning to stream to Twitch or similar services. This review builds on a new suite that was established with the launch of Ryzen 7, so for all the details about how we do things, and also a look at our testbeds, check out the next page. Otherwise, head on over to page 3 to jump right into the benchmarks.